Garmin Foretrex 601 Review - Is It The Foretrex 401 Killer? The Garmin Foretrex 601 is a lightweight GPS that can be attached to your wrist to order to give you a hands-free GPS whenever you need it. It’s Garmin’s update to the much beloved Foretrex 401 that came out so many years ago. As time is going on it’s slowly gaining traction among the military as more and more make it into the field. Who Should Buy The Garmin Foretrex 601? Small at 2.9 x 1.7"
Doesn't have some of the extras that other GPS have. Placement of the battery compartment. 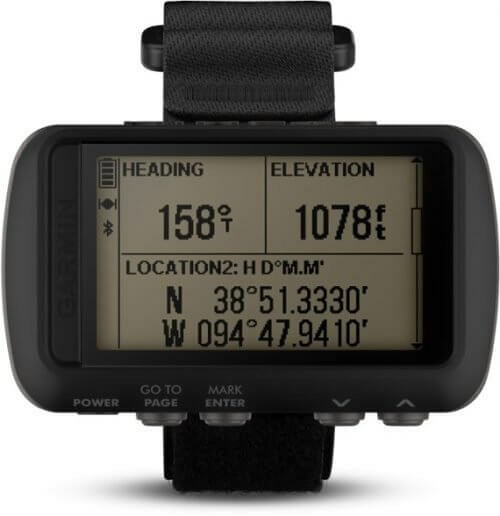 Everyone that would have been interested in the Foretrex 401 should strongly consider just spending a little more money and purchasing the Garmin Foretrex 601. 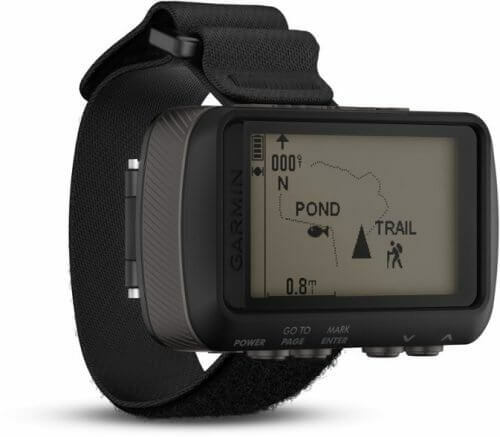 This means hikers, military, preppers, and mountain bikers will love this GPS. In my eyes, it’s a straight upgrade over the 401. The Garmin Foretrex 601 looks a lot like its predecessor. Its body is the same size, weighing just 3.1 oz with two AAA batteries installed and 2.9″ x 1.7″. The display is a 2″, 4 color greyscale display. That is a massive upgrade from the previous version. It also doubles the resolution of its older sibling. Runtime is a crazy 48 hours on batteries in GPS mode. Less power intensive modes (UtraTrac and Watch Mode) can go for up to a week! It can track your routes, mark your location with the push of one button and wirelessly share waypoints with other Foretrex 601s. The waterproof rating stays the same in the 601. Basically, you can take it in the shower but any more water than that and the amount of waterproofness is going to be hit and miss. Garmin has a host of external monitors that you can use with the 601. For most people, the heart rate monitor may be worth it but not much else. 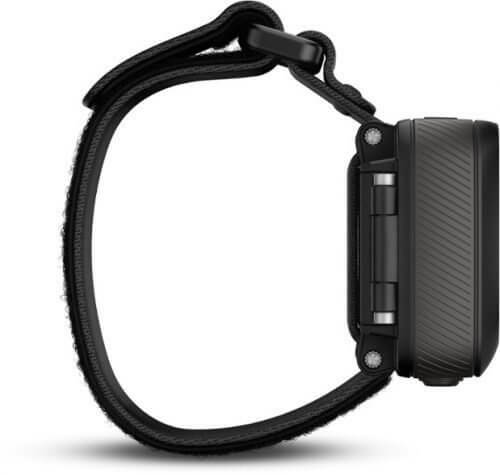 The Garmin Foretrex 601 is lightweight, fits the wrist well, and can attach to pretty much anything else as well. Mine has replaced the 401 on my body armor. I haven’t had my Foretrex 601 for nearly as long as I had my 401 so it’s hard to tell for sure if the 601 is going to be as durable, but it sure seems like it. My 401 took a beating for years in some really harsh environments and only broke one of the pins that holds the wrist strap in place. I love that Garmin has stayed with regular AAA batteries for the Foretrex 601! This makes it really flexible when it comes to trying to find power. I always have a way to charge AAA batteries on me but with a 48 hour to 1 week run time, I can’t see needing to change batteries all that often. The screen resolution is one more big advantage that the Foretrex 601 has. When you read that it has a 4 color greyscale display it doesn’t seem all that impressive. In practice, it makes a big difference. The double resolution helps as well! Anyone who is familiar with the older version of the Foretex 601 will have no problem picking up the menus and buttons. For others, the learning curve still isn’t steep at all. If you don’t know anything about GPS then you could run into some problems but that’s not Garmin’s fault. If you’re looking for a band other than the included strap, you can also attach the Garmin QuickFit 26 Silicone Band for a more watchlike feel. If you need mapping and other extras that come with some GPS then you’ll want to look for something else. The Garmin 601 uses the base map and can’t change that. It’s not a problem for me as I have other GPS if I’m looking for street names and the like. The battery compartment is behind the band so you need to remove one side to access the batteries. This doesn’t bother me since it hardly takes any more time but it would be nice if it wasn’t the case. You may have seen this chart on our Garmin Foretrex 401 review page. It pretty much says it all…the new Foretrex 601 is better. I’ve replaced my 401 with a Foretex 601 and it was pretty much brand new. The Garmin Foretrex 601 is pretty much a direct upgrade to the Foretrex 401. My conclusion is pretty much the same as it was with the 401…go ahead and buy. You won’t be disappointed. Overall, the Garmin Foretrex 601 is a great GPS that gives you a hands-free ability in an updated case with an updated display. Did this Garmin Foretrex 601 review tell you what you wanted? Please let us know in a comment below. We also have more gear reviews on our gear review page. Are you able to upload waypoints onto this?? I have hundreds that I would need to easily access. If you have your waypoints in a .gpx file, then it should be easy just transfer them over to the 601. You can also transfer over a .kml file to your Garmin 601 by converting it to a .gpx file. Garmin’s software works but it could definitely be easier to use. There’s some paid aftermarket software out there that makes the process more streamlined but I haven’t tried it and it doesn’t look like it’d be worth the $75 or so they’re charging.